On December 14, 2017, the Washington Post reported that president Trump promised to roll back federal regulations from the current level of 185,000 pages to the 1960 level of 20,000 pages. The Trump administration has issued two Executive Orders (EOs) concerning the broad issue of regulations: EO 13771 issued on January 30, 2017, and EO 13777 issued on February 24, 2017. The emphasis in the January EO is totally on regulatory costs with no attention at all to regulatory benefits. A central idea in the first EO is that two regulations must be eliminated for each new regulation issued. Also, for 2018 and beyond, the Director of the Office of Management and Budget (OBM) will tell each agency how much net increase or decrease in annual regulatory cost will be permitted for that agency. The agency’s lawyers always wanted more regulations. Regulations give the agency a stronger basis for its actions than non-regulatory guidance. An agency must have a statutory basis for every regulation. The statutory language nearly always raises questions that require clarification in regulations or non-regulatory guidance. Think of the eight-page U.S. constitution and the number of issues it has raised over the years. There are thousands of pages of statutes. Each sentence or part of a sentence can raise issues that need to be addressed by regulations or non-regulatory guidance. Many regulations have an economic impact because they require somebody to do something. Those regulations with an impact of over $100 million are considered significant regulations. Regulations are often out of date. In that case, the agency follows the statutory language and the non-regulatory guidance. The process for updating regulations or issuing new regulations under the Administrative Procedures Act is often a very time-consuming process —often taking years to complete. Sometimes we did without any regulations and relied entirely on the statutory language and non-regulatory guidance. Few would disagree that outdated, unnecessary or ineffective regulations should be rescinded. Most would agree that regulations should not impose more cost than benefits. But I question the job elimination provision and the other provisions that ignore the benefits of regulations. What if a regulation has benefits that greatly exceed costs even though it causes some jobs to be eliminated or is inconsistent with regulatory reform initiatives and policies? Why would we not want the benefits from such regulations? The benefits may include savings from prevention of illness or death. There is surely no evidence that regulations cost jobs in the aggregate. We have steadily increased regulations over the years to the point that we have 185,000 pages of regulations and thousands more pages of non-regulatory guidance. But the unemployment rate has fluctuated up and down over the years despite the gradual increase in regulations. The war on regulations and the non-regulatory guidance makes no sense to me. It’s the complexity of the underlying statutes that causes so many regulations and non-regulatory documents to be written. 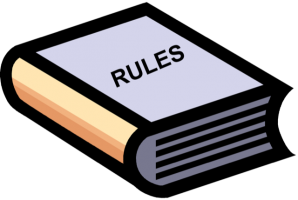 Some statutes require regulations for implementation. Failure to implement legislation is not an option. The constitution has a Take Care clause that requires the president “to take care that the laws be faithfully executed.” The president cannot pick and choose which laws to implement. The Office of Information and Regulatory Affairs Administrator Neomi Rao seems to recognize this issue. The December 14, 2017, Washington Post as quotes her as saying she thought it would likely require legislation to reduce regulations back to the 1960 levels. Also, it makes no make sense to me to repeal regulations that have substantially more benefits than costs. I realize this is just my opinion. The administration can try to ignore the benefits of regulations if it wants to.